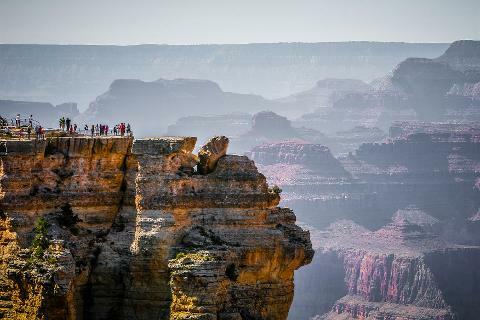 Visit Grand Canyon National Park in a single day from Las Vegas with 3 hours at the deepest and widest part of the canyon. 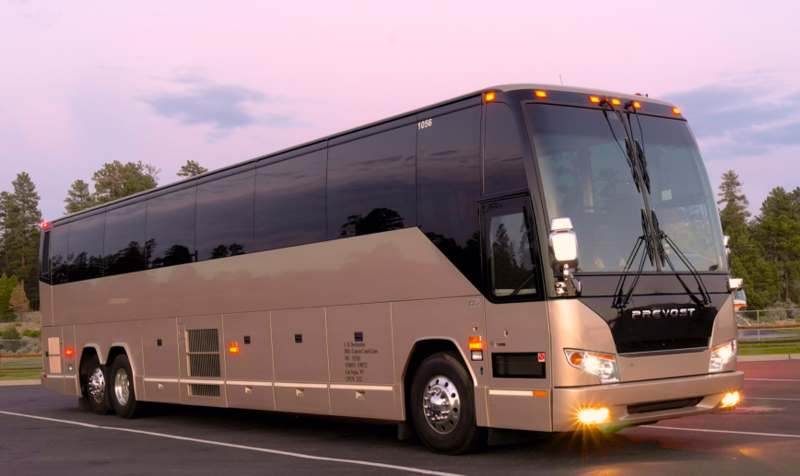 Enjoy a day of the Grand Canyon’s South Rim with round-trip transportation from the Las Vegas Strip in a deluxe motor coach. On your way to the South Rim, you’ll get a complimentary morning snack to enjoy as you travel through the Mojave Desert, the famous Mike O’Callaghan-Pat Tillman Memorial Bridge, and cross iconic Route 66. Today offers a dramatic scenery change as you gain 5000 feet of elevation from Las Vegas. Desert plants and animals change to scenery and wildlife from the Colorado Rockies, with 100-foot tall pines, giant elk and mule deer. Once you arrive in Grand Canyon National Park, you’ll have 3 hours to explore the deepest and widest part of the canyon, the South Rim. When you get off the bus, your driver will fill you in on all the details about what you can do and see. 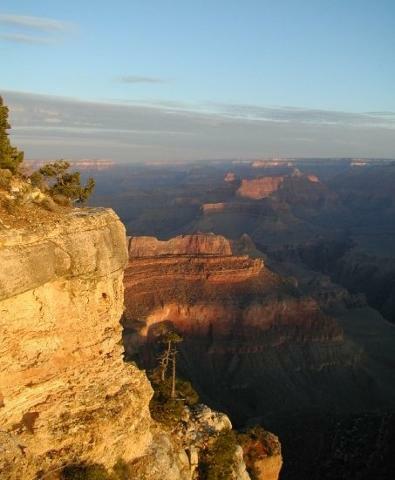 Popular attractions in the Grand Canyon National Park include El Tovar, Hopi House, Kolb Photo Studio, and the Bright Angel Trail. Guest Pick Up Service: We offer hotel pickup service for guests on the Las Vegas strip between the Mandalay Bay and the Golden Nugget. Guests who are staying off the strip or outside of the pickup zone can meet at one of 5 strip locations.